Winners must email Sue at sue@suebleiweiss.com with their full name and mailing address by 8/14/11 in order to claim their prize. and patterns, perfect for adding to journals. 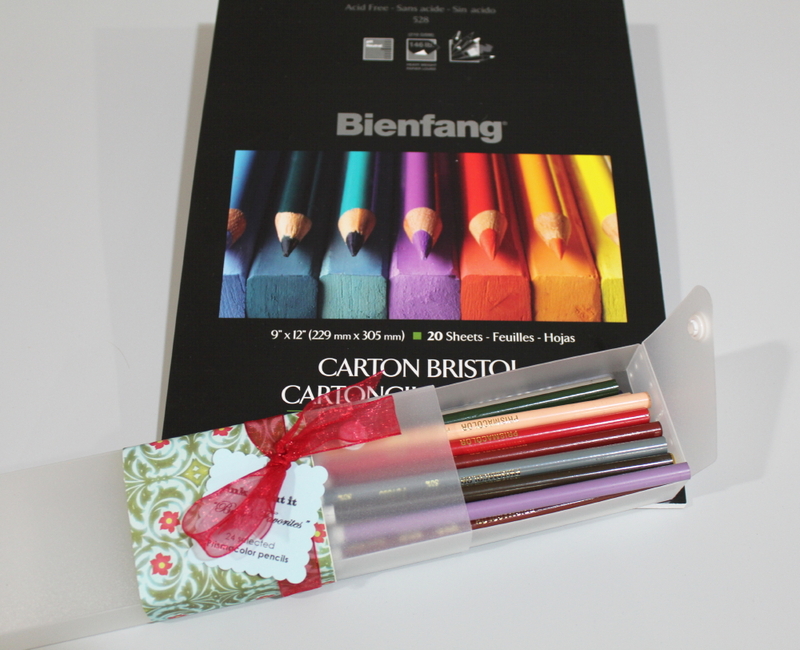 a 9" x 12" pad of Bienfang Brisol Board and a very cool pencil case filled with 24 Prismacolor colored pencils. 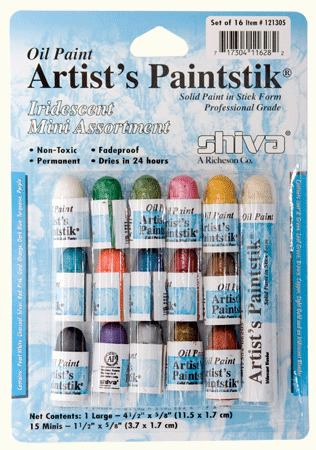 Aset of mini iridescent Shiva Paintstiks and a set of rubbing plates in the Curves pattern. The beach is all about pattern, light and texture (let's not forget the swimming, walking and Rum Runners). The color is so subtle and understated. It is definitely a stretch for me to have it stripped down to just these elements. I brought a big pile o'books with me on vacation and here are a few that I'm reading or re-reading or just dipping into for inspiration. 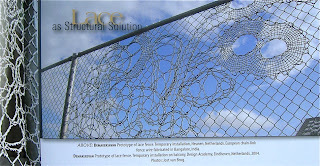 The latest issue of Surface Design magazine is all about lace and that ties in nicely with the pattern/texture theme here. I must be the only one that isn't on vacation on the list. When I begin a new piece of artwork, I never really consider what I am going to put into it. I typically start from the "Hey, that would be a great idea!" point of view. I tend to jump right in, worrying about running out of things (like room on the page) when it actually happens. 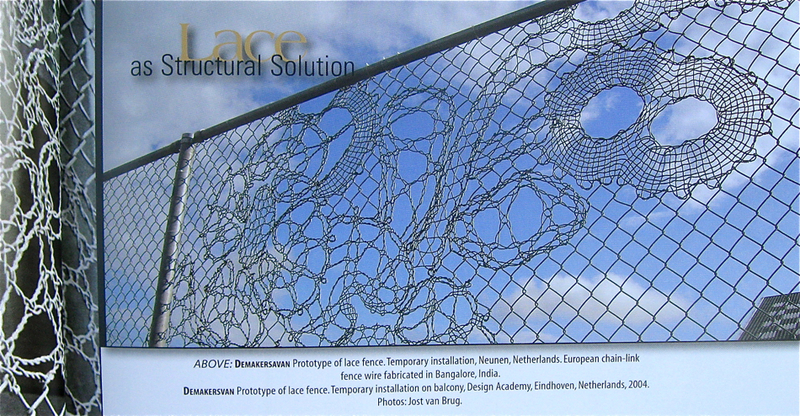 Like this piece of artwork. 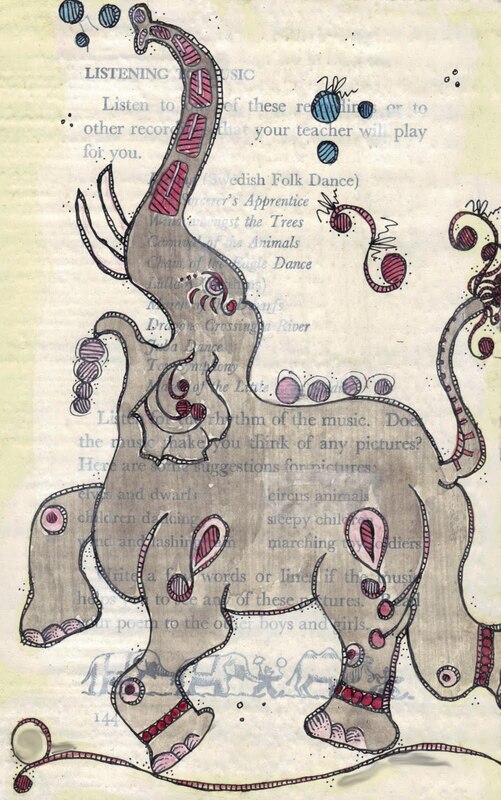 It's called "The Dancing Elephant"
I love this silly, happy little elephant. But when I drew her, she kicked her back foot up so high that it went right off that page! Of course, since I (usually) never sketch things in pencil first I couldn't go back and re-configure the entire drawing. Or convince her to drop that back foot a little. Instead of trashing the entire drawing, I decided to just draw her tail going off the page as well. I figured that, in the grand scheme of things, no one would really notice that she was falling off the page. Or dancing in to it. 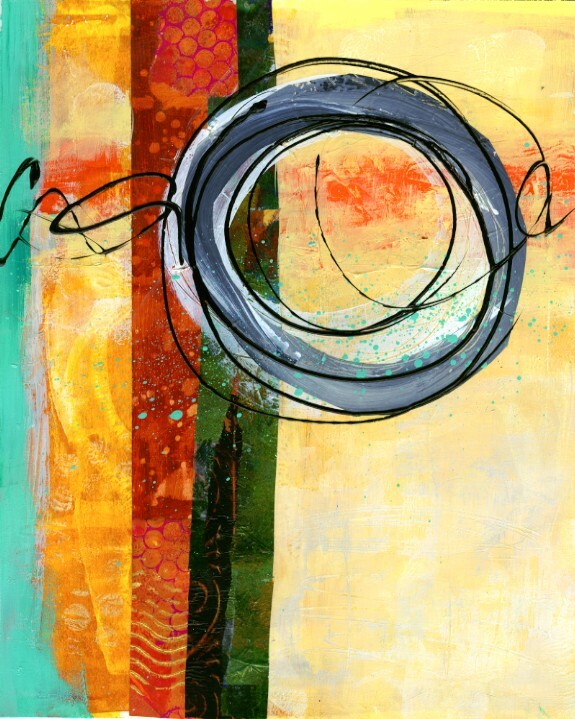 My point is this - one of the elements of my art is going with the flow. Learning to work with what you're got in front of you...what you've already done. I could have thrown this young girl away and look at all the smiles I would have trashed as well! introduced my Dancing Elephant to the world. These are a few of the things that we will be talking about at my "Whimsical Mark Making" class at Textile Evolution in Colorado Springs, Colorado on August 20. We will also talk about drawing on fabric and what tools you can use to add color to your drawings as well. This is a "no experience required" class! Diana Trout on Creative Mojo Today! 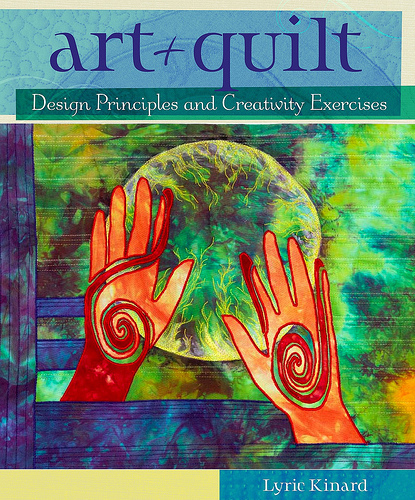 Sketchbook challenge artist Diana Trout is going to be on Mark Lipinski's show Creative Mojo at 3 pm (eastern time). Diana's interview will be on about 4! It's live so you can call in and ask questions - don't miss it! 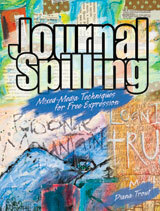 At its core, Journal Spilling is about incorporating journaling and art making into daily life, all the while encouraging a carefree, non-judgmental approach. 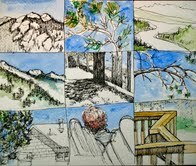 In addition to step-by-step instruction for getting started in 25 media techniques (watercolor, resist, ink, transfers and more! ), you will be guided through exercises to help with writing. The exercises are broken down into accessible parts that can be undertaken in small bits of time and are open-ended, encouraging various paths for journaling. Let go of complete control and trust the journaling process! 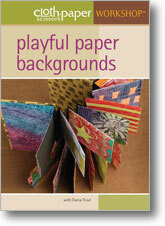 Create a varied stash of beautiful papers for use in your artwork. 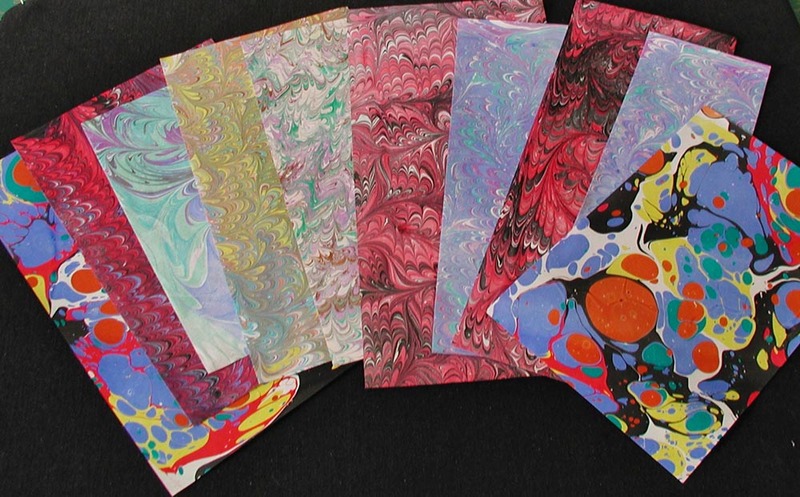 Artist and author Diana Trout shares a wealth of artful techniques for creating delightfully designed papers using inks, paste, and paints. First, painted papers are thoroughly explored using watercolors and other water-based media; special effects include resists, masks, and experimental mark-making. Next comes an intriguing examination of techniques for use with inks, including orizomegami (folded and dipped papers) and suminagashi (floating ink paintings). The fun continues with a lesson on creating your own stamps for personalized mark-making. Finally, learn to create colorfully patterned papers using paste, acrylic paints, and texture tools. Expand your visual vocabulary and design tools, and gather inspiration to create stashes of papers for use in journals, collage, book arts, and more. I was reading a few blogs this week (I usually only read them once or twice a week) and got to Alisa Burke's. Man - have you looked at her blog lately? She has got IT going on! Launching a brand new shop with her mom, all those fantastic online classes, phenomenal artwork, a new book coming out soon AND a baby on the way! She is one busy and talented lady. One of the things that caught my eye on her blog was the photos of seahorses. I love, love, love going to aquariums and watching the seahorses. They are so odd looking, so beautiful and quite whimsical also. Alisa had drawn a few and painted them - look at her paintings here. I loved the one that she didn't paint (or maybe she painted it but just didn't post it). I just had to draw it! I googled "images" and seahorse and found a similar photo for some more inspiration. I really needed to tie him to the background and I think that the water did just that. Thanks Alisa for letting me post my rendition of your photo! One of the classes that I'll be teaching at Textile Evolution (in about a month)is called "Whimsical Mark Making". I'll cover some tips and tricks that I use to make my marks a little different than others, kinda like the seahorse above. I'd love for you to join me in Colorado Springs for this class or my two day class called "Bound by Heart, Made by Hand". This is a book making class that also incorporates my love of using items from loved ones in my artwork. I took a class from DJ Pettit a couple of years ago that changed the way I make books. I was so inspired by the techniques that she used! I have since then made the techniques my own (by many, many hours in my studio working) but she was my initial inspiration. If you ever have the opportunity to take a class from DJ, I'd suggest that you jump at the chance. "inside out" hand dyed cotton, machine stitched, 12" x 30"
So the next time you're looking for some inspiration consider a trip to the library or the bookstore and grab an art book. You might find just what you're looking for! Jane LaFazio here. I had so much fun with this page! First, I'm working in a larger journal than usual--it's like 9x12". I drew from real life, as always, from snippets of a Eucalyptus leucoxylon 'rosea' (White Ironbark) down the street. Fun Fabric Rings from your Sketchbook Tutorial and Giveaway! This week I've been exploring another way to use my sketchbook drawings and doodles in order to expose them to the light of day. I've posted a quickie tutorial on making some FUN FABRIC RINGS and PENDANTS out of your own art over on my blog, just for readers of the Sketchbook Challenge. You inspire me every day! This colorful button bling is made with a half ball button cover kit from the fabric store, inkjet fabric sheets and jewelry findings from the craft store. 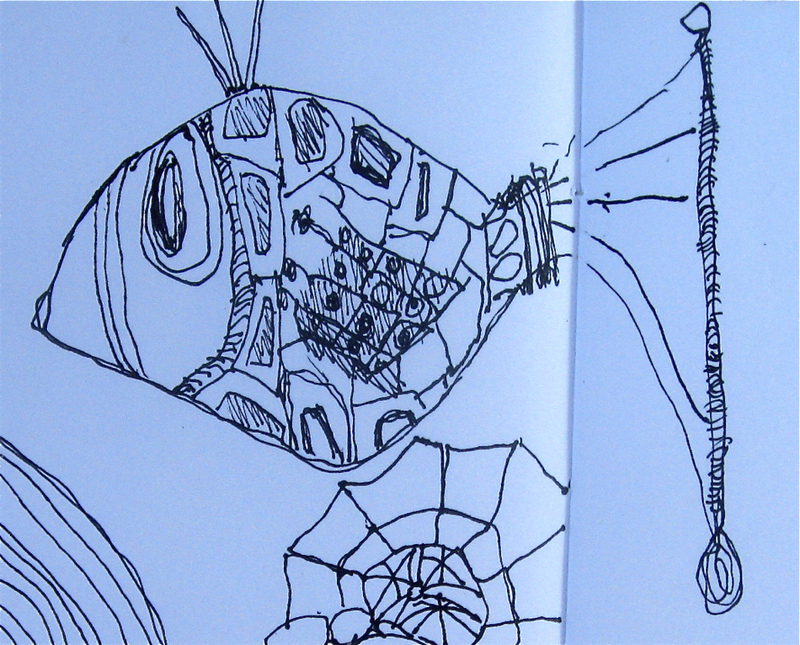 Start with some drawings from your sketchbook. Simple designs work best, but any of your sketchbook pages can be turned into jewelry. You'll be resizing the image to fit a button top, so keep in mind that the visible area will be pretty small. Here are my original images, which I've scanned and digitally manipulated. But scanning or taking a digital photo is fine--you don't have to add anything to your image before printing it. I'm going to give my jewelry away to three lucky winners that I'll draw randomly, so be sure to pop over to the full tutorial and comment by July 23 for a chance to win rings and pendants. Whatever kind of art you create in your sketchbook, you can adapt it to a ring, pin or pendant in just a few easy steps. It's a great way to get your sketches out into the light of day and share them with friends and the world in general. Imagine sporting a ring featuring something you've drawn yourself. Doodles, paintings and collages can also be transformed into button jewelry, but you may want to make something special for this project. Hello, Sketchbook Challengers! Diana here. with an art journaling project that I did with my Teen Journaling class this week. I enjoyed creating this page and thought that you might get some ideas from it as well. Here's what you'll need: Journal, stones, waterproof black pen, crayons and flat textured items (such as doilies, leaves, etc. 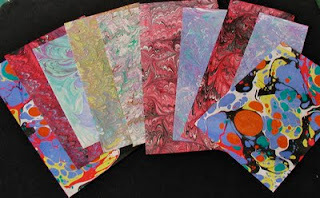 ), a magazine, gluestick, scissors or x-Acto, paints (any colors/brands: the kids used craft paints), a hunk of cardboard and a dampened paint rag. I've been on a mission for the past few years to try to get students to lose their fear of drawing. Unfortunately, the teens need this encouragement as much as adults. As near as I can tell, it starts in 4th-5th grade. So we did some contour drawing. I had a box of stones and gave everyone one stone, explaining how to do a contour drawing (pretend there is a tiny ant crawling around the countour of the stone and simply trace it with your eyes, letting your pen line follow). Lay the texture plate behind your page and, using the side of your crayon, rub it lightly back and forth. Now you've got Pattern/Texture. 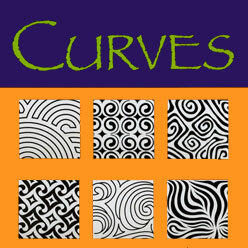 As you begin to create the rubbings within the shapes, you are aware of the shape and the patterns you are creating. Keep watching the page grow as a whole. You are working with color here, of course and you can layer the crayon colors one on top of another to mix the colors. Finally, it is time for color. This is such fun. Grab your paints (just 3 or 4) and your cardboard hunk. Now you might want to wipe up some of the paint on your words with a damp rag. Sometimes you have to scrub kind of hard. If your letters begin to disappear you can go over them with a sharpie. and Voila! You've touched on line, shape, pattern, color, composition and negative/positive shape with this journal page. I hope you enjoy it. This tutorial was cross-posted over on my blog and I've put a link in the Tutorial Page here. Jane LaFazio here. This is my completed coffee shop journal. Each time my husband I and went out to coffee, I took it with me and sketched. I used a water soluble Tombow pen and my Niji Waterbrush. If I had time, I added some watercolor to the images. The accordion fold journal is small, and fits in my purse. 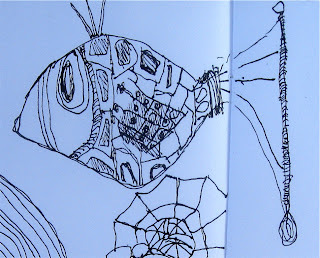 When I was first invited by Sue Bleiweiss to join The Sketchbook Challenge I was a bit wary. I’m not big on joining groups, and was a little doubtful as to my ability to make this year-plus commitment. However, I’d begun an almost-regular drawing practice and thought the Challenge may help to keep me motivated. It has done SO MUCH MORE than that! With this fabulous group of creative, hard-working artists I have found peers with which to share ideas and information (the generosity of the group has absolutely blown me away! ), and I think we also function as a sounding board for each other for new ideas. It’s amazing how much momentum can be generated, how an idea can spark and then run wild, with this group. Personally, it has been great to get to know these individual artists, be inspired by their work, and learn from their experiences and insights. The other major benefit of being part of this group has been seeing the amazing outpouring of creativity coming from our readers! I am in awe of the work that shows up on the Flickr site. The Sketchbook Challenge has been part whirlwind, part a subtle reminder to draw daily, and a whole lot of mixing with very talented and motivated women. The group is so diverse in its offerings, but there is a string that binds all of us involved in this effort, and that is generosity. From the donors to the drawing damsels, everyone is there at the beck and call of the rest of us to coordinate, plan, aid and offer the best free tutorials I have ever seen on the internet. What is the catch you wonder? So do I. Okay, here is one downside. Some of these women make me look bad. They post constantly with beautiful tutorials, tidbits of wisdom and links for more. They could slow down a bit so the rest of us don’t look like slackers, but then, that is selfish of me and not what this blog is all about. My posts are fairly regular, and I do try to share what folks tell me they want to learn from me, but it enough? The bar is set high with this group! What has The Sketchbook Challenge meant to you? My girl with interchangeable clothing - all dressed up and ready to hit the art scene! You Go Girl! Be a trend setter with those jeans under your skirt! These were all painted with watercolors and outlined with a Flair black pen; variation on the idea - My girl could have a couple of changes to her hair style or even wearing a stylish hat. 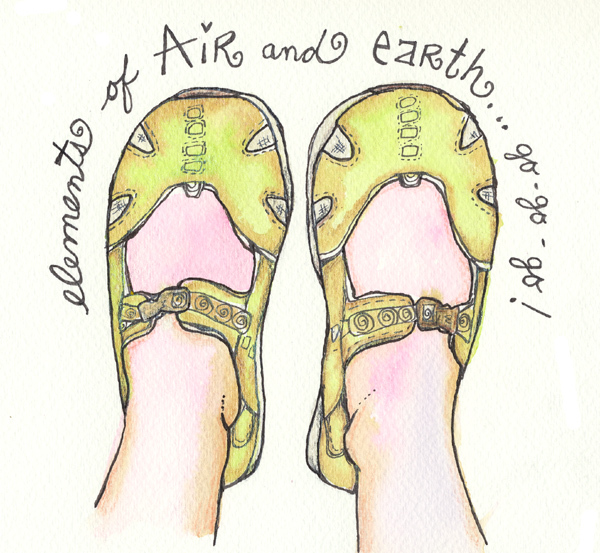 Then you could color copy them and make them into invitations, art cards or even postcards. Photo transfer them onto fabric for a small quilt. The possibilities are endless! There are times that I want to sit and draw but can't really think of what to draw. Or I'm just not in the mood to draw what I see around me. Sometimes I just can't draw very well at all. Other times, I'm looking for a particular shape that I'm not familiar with and I need to look at a 2D rendering of it to help me draw it. 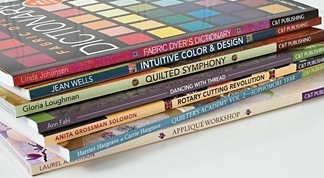 That's when I turn to sourcebooks or pattern books. You can find several of them online. Some of them say they are copyright free. Be sure to read the reviews as this is usually where you find out this type of information (on Amazon that is). 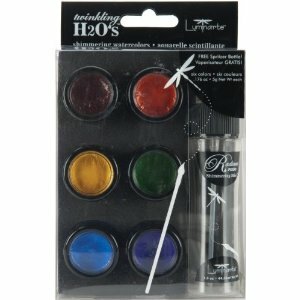 If you just want to use the book for ideas to draw in your personal sketchbook then you won't have to worry about the copyright issue. When I first began drawing again, after years (really decades) of not drawing, I turned to sourcebooks from the library. They quickly became my "go to" for ideas. It's a great way to churn out a few warm up sketches without having to concentrate too much. And it's a great help to the person who says/thinks that they can't draw. Here is an example of a quick sketch that I did last night (while watching a Harry Potter marathon) (again). I love the shapes in the design and couldn't help but grab my Pitt Pen to sketch it out. Here's the design from the book that I was thumbing through. The book is called "Patterns" (editor Macarena San Martin) and it's a compilation of motifs from different designers. The designer of the particular pattern above is Labolaululintu. There was only an email address given (labolaululintu@gmail.com). I suppose that it's okay to post it since it was posted in the book. I tried to locate a website but couldn't find one with Google search. It's a smaller book with 479 pages in it! Wow! Lots of beautiful motifs and colors to be seen. 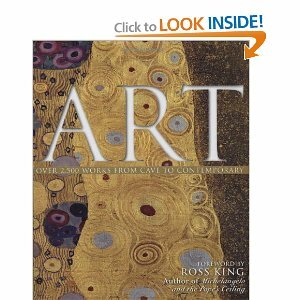 So, if you're looking for some inspiration with patterns or of making patterns from a single motif, check this book out. You're in for a visual treat to be sure. But if you're looking for copyright free images, this is not the book for you. It would be fine for you to copy them into the pages of your personal journal though. So, all of you visual journalers that are looking for some design help on your pages - this could be the help that you seek. I love to use my book to inspire different designs and shapes to paint inside of my visual journal and sketchbook. I saw Cirque Du Soliel a few nights ago. I made this sketch when I got home. I had my book there but was just tooooooo jaw-droppingly entranced to get it out. I want to fly too. Jane LaFazio here. Sketching on cloth! why not? I've got a tutorial on my blog on how I drew on fabric to create this prayer flag. I love incorporating my drawings into my other work. I'm making these flags as part of The Prayer Flag project.There's even a flickr group for the flags. It's fun, it's free and frankly, it feels good.